The Rangers are now in their final home games with both Kevin Hayes and Mats Zuccarello (and Adam McQuaid). There was a ton of speculation this afternoon following the recall of Lias Andersson, but Brett Howden was placed on IR to make room. As of the writing of this post, all three players expected to get traded are in the lineup. That can change, though. 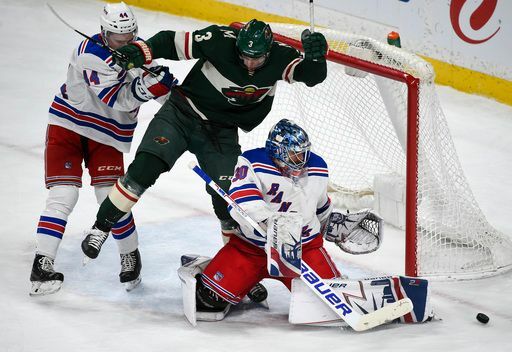 The Wild are in sell mode as well, having sent Nino Niederreiter to Carolina and Charlie Coyle to Boston. It’s worth noting that both teams have 60 points, so this is a big game for draft positioning. The calm before the storm. Devan Dubnyk gets the start. "Game 60: The final countdown", 5 out of 5 based on 2 ratings. Bunch of teams on the move the past few nights and we keep getting meaningless points . We could be sitting 26th! Spot on Comment. Rangers will never learn. Thus You will never see the likes of the next Austin Matthews or Connor McDavid in our organization. 1 Cup in 70 years. PATHETIC!!! Just wait a little bit Bobby B , d-bag will be around shortly ! Trade bait on ice for warm-ups. Was hoping that wouldn’t be the case. We ran a into our own medicine, you gotta say Dubnyk ( his career went south in Edmonton, along with a few others ) played a strong game. There was a couple of stupid plays that cost us and a blown call.